Dr. David Martz is kind of a rock star in the Lyme world. You may have read about him in Pam Weintraub’s Cure Unknown and seen footage of him in the documentary Under Our Skin. His story is riveting. 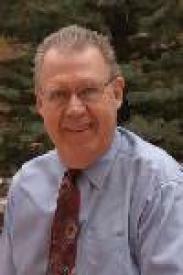 He had a lifetime of good health and a successful career as a physician practicing internal medicine-hematology-oncology for 30 years. Then, in 2003, Martz suddenly started experiencing strange symptoms. First deep fatigue, then profound muscle aches and body-wide pain. Soon he was too weak to get out of bed. As his condition rapidly deteriorated, his physicians gave him a devastating diagnosis: ALS (aka Lou Gehrig’s Disease). They said nothing could stem his physical decline and he would likely be dead within two years. But events went in a different direction. As his health spiraled downward, Martz connected with a Lyme disease specialist who prescribed hard-hitting, long-term antibiotics. The gamble paid off. By the end of 2004, Martz was a new man. In fact, the doctor who had diagnosed him so definitively with ALS, now pronounced that condition completely gone. Martz devoted the next two and a half years to a project that gave extended antibiotics to about 90 ALS patients, and demonstrated objective improvements in 15% of them. He has also treated more than 800 chronic Lyme patients, with good response and minimal side effects. That work is currently being written up for publication. Martz is moving into a new phase of life now, having recently been named president-elect of the International Lyme and Associated Diseases Society. His term will start in 2011. Martz will be the keynote speaker at CALDA’s annual patient conference, “Getting Healthy Again in 2010,” on April 24. The event will be held at the Dougherty Station Community Center, 17011 Bollinger Canyon Road, San Ramon, CA. For registration information, click here. In the book "Cure Unknown," it was stated that Dr. Martz found that once he stopped antibiotics, he would relapse and so he was forced to resume such a regimen. Is that still the case? I think the key reason why he survived the Lyme disease is because of his pure motivation and perseverance. I guess that can be very well seen from what he has to say and what he has done. His long term antibiotics finally made it work and I think that shows nothing is impossible. Anyway, since then his contributions to the Lyme world have been remarkable as he has been successful in treating more than eight hundred chronic Lyme patients! I had the same doctor as Dr. Martz during the same time period. However, not being a doctor, and eventually having my treatment dropped by another LLMD, i am currently in pain continually. My infection has settled in my mouth. Lost all my teeth. Had lots of dental surgery, which has done no good. Lost my job. You know the story. Lost my job, lost my ability to pay. So … … … I will be like all those who lost their lives because they could not get treatment. Just that I had a few years to live first, for which I am thankful. I hat the pain the most for me. At least I can walk and drive which I might not be able to do if I had not had treatment. My brother was just diagnosed with ALS and I would like info on any Dr that would look into the chance it is really Lymes. We live in suffolk county long island , again any info would be greatly appreciated. I wish you well and Thank You in advance. Look for state support groups. Even other states. Where are you? There may be hope if you get to the right doc- not a quack. Best of luck. cmgnp, hope you’re doing good, my sister lives in Suffolk Co, and she has been diagnose with ALS, since a couple of lyme tests came back negative and also spine tap. But she has been working in landscaping for more than 10 years with multiple tick bite episodes were antibiotics were given for two weeks, sometimes even without test. Did you find a LLMD in your area? This is your old buddy from high school. I have just found your name on facebook and read your story. It's unbelievable! As another person has inquired. Is Dr Martz still practicing ? His ph number is disconnected. When I called 2 years ago I learned that he is no longer practicing. If you need a Lyme Literate MD in Colorado specifically, join ColoradoLyme@yahoogroups.com and you can ask the group for references. There are email lists in other states, too. There are some GREAT doctors out there who can help! 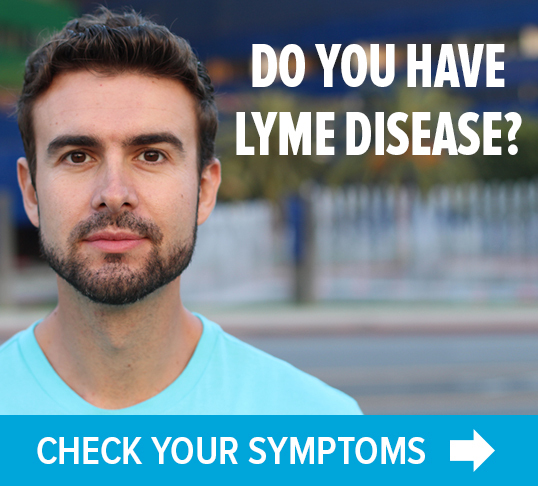 can you refer me to a dr. who can diagnois and treat lyme disease in houston tx. 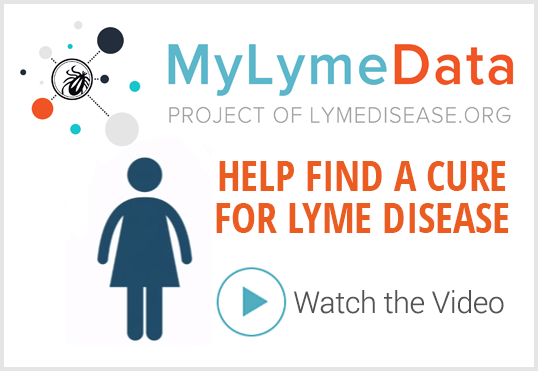 can you recommend a dr. who can diagnois and treat lyme disease in houston tx. Can you please recommend a Doctor on Long Island, New York. “There can be no ALS without Bartonella!” -Dr. Dietrich Kilnghardt, June 14, 2014. I include this because there is a history of people getting better with Rocephin etc. for Lyme/ALS, only to fall off (like me). So I would really love to see if Doctors try a BARTONELLA focused approach toward ALS/Lyme and hear what happens. My symptoms mimic ALS, CIRS, MS Fibromyalgia, CRPS, MCS and several other diseases. I truly believe that I have Lyme Disease. I am in bed every day, I have not been able to do housework, cook or drive myself to doctor appointments,. I am now severely depressed since my original diagnoses of a mold illness or CIRS was diagnosed in 2003. I know that I am not experiencing a mold hit, I have been hard and I don’t know how much longer I can deal with these AWFUL symptoms, my neurotoxin is bad enough, I had no idea I could feel worse. My brain and memory are useless. I need see a light at the end of this tunnel soon, if you know of a doctor in Colorado that lives, eats & breathes Lyme Disease please forward me the doctors information. Thanks in advance. Jennifer, I know this comment was made three years ago, and I do hope you have since been able to find adequate treatment and are doing well. One of the many things that peole do not know about Lyme is its ability to activate dormant genetic mutations. One of these gene mutations is the mold susceptibility gene, or HLA-DRBQ. This gene mutation prevents the body from eliminating mold and other biotoxins. So yes you may in fact have CIRS/MCS – that were caused by the onset of Lyme Disease. Dr. Ritchie Shoemaker has found through his research that a large percentage of those with Lyme have this gene mutation, and it is a main reason why a large percentageof those with Lyme are unable to get well. Fortunately, there are remedies outlined by Dr. Shoemaker that helps people to rid the mold in their body. But one cannot achieve remission until they rid themselves of mold, and it should be done before taking antibiotics, but in a perfect world. I was bit by a mosquito in Aug. 1977, and later tested psitive for Lymes. Last week i went to Dr. and she tested me on her bio-meridien machine and I tested positive for Lymes neuroborreliosis and now take Samento anti-microbial homeopathic. For the past several years, I ahve been treated by Dr. for toxic encephalopathy. I decided to try the Deanna Protocol, which has been helpful with my symptoms. I still dont kow for certainis I have ALS but have many of its symptoms. After nearly 15 years worth of symptoms and exhausting nearly every specialist I was directed by MDs to vist with, my symptoms continue to worsen. Is there a Lyme Specialist in Colorado anyone can recommend for evaluation? Regards. Had same experience- as soon as Lymes was under control-als symptoms went away. My father has been sick with ALS for more than 10 years. We were told he would be gone by the 6th year. My life as his daughter changed immensely. Not only me but my mother and brothers and sisters. I’ve been researching lymes disease for years now. And something doesn’t add up. I believe he was misdiagnosed with als. I believe he has lymes disease that’s effecting his nervous system. I’ve done reports on ALS in school and he doesn’t fit in all the categories. If there’s anything or information that won’t cause me to be ripped off. Anything . Holistic or medicine. He can still move his muscles and wiggle his toes. I just would love it to at least stop the progression of it. Or maybe get peace of mind to know what he really has. If any one can help. I have Morgellons which is Lyme related, unlawful diagnosis in Liverpool School of tropical medicine UK now they’ve lied about bloods and branded me with DOP it’s shocking the lengths they go to hide the truth . Any suggestions to save my life . Was Dr Martz ever tested for lyme disease and if so what were the resilts? Yes he was tested 3 times and the first two times showed false negative. He decided to take a 5 day regimen of doxycycline which tricked his body into producing an immune response. His third test through Igenex was positive for blood serum. So many very sad and tragic stories here. If you have Lyme disease you get laughed at, treated like a criminal, treated like you are crazy. The public has NOT BEEN EDUCATED to know the symptoms and the medical community is criminal in its response. All I know to do is hope, pray, and we can all do the best we can to inform others. I have a small 2nd niece diagnosed with “childhood arthritis” we evryone here knows is straight from Lyme Connecticut. The mom argues with doctors, but get upset with me when I try to inform or even work together. That little girl will suffer all her life. Very sad.